Dr. Himanshu Pophale, Chest Physician. Dr. Himanshu Pophale is a Pulmonologist in Pune and has an experience of 11 years in this field. 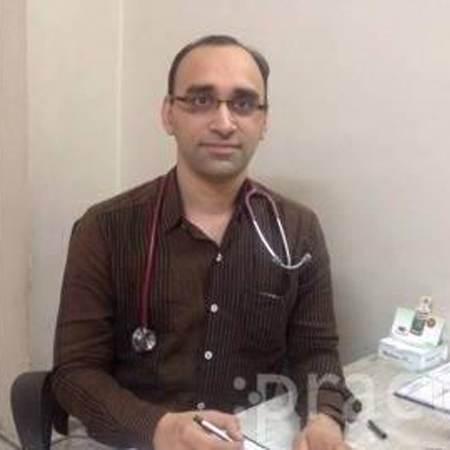 Dr. Himanshu Pophale practices at Dr. Himanshu Pophale Clinic in Deccan Gymkhana, Pune. He completed MBBS from Grant Medical College and Sir JJ Hospital, Mumbai in 2004 and MD – Pulmonary Medicine from Sri Venkateswara Institute of Medical Sciences (SVIMS), Tirupati in 2009. Some of the services provided by the doctor are: Interstitial Lung Disease Treatment, Tuberculosis, Eosinophilia Treatment, Lung Cancer Treatment and Bronchitis Treatment etc.